It’s been a hard winter on the AT this year. Powerful storms have pounded the Appalachian mountains and the eastern states. Living conditions on the trail are hard. Ice, snow, rain, and low low temperatures have taken their toll. At times, the trail itself morphed into torrential white water rapids. One hiker froze to death in the Smoky Mountain National Park. Only the iron-willed, the properly equipped and those with savvy survived to hike on. And so they have. 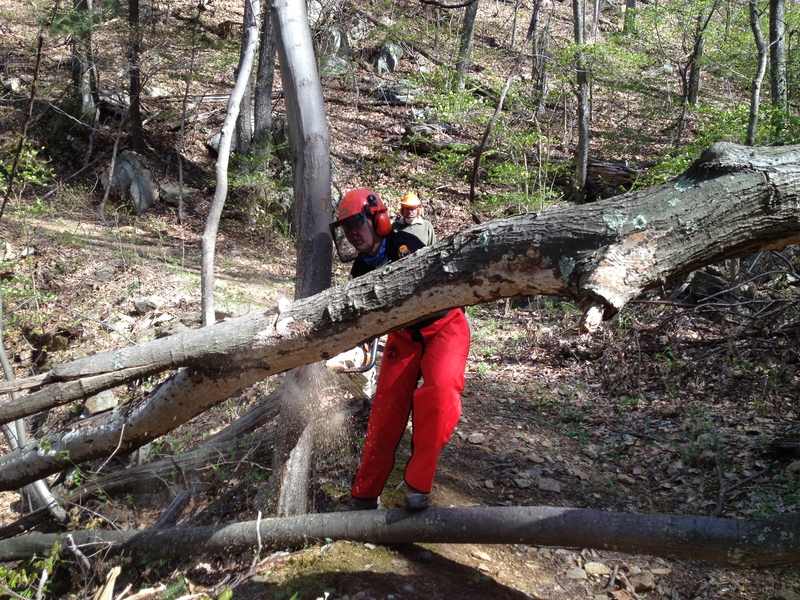 As the lead hikers enter Virginia, the trail maintenance crews are out in force to clear the way ahead to improve their safety and trail experience. It’s time to repair the erosion, whack away the blowdown, and clear the safety hazards. I worked on a blue blaze trail starting outside the park and extending into a wilderness area. Outside the park we could use a chain saw to literally vaporize blowdown. Inside, it was definitely muscle-powered low tech. 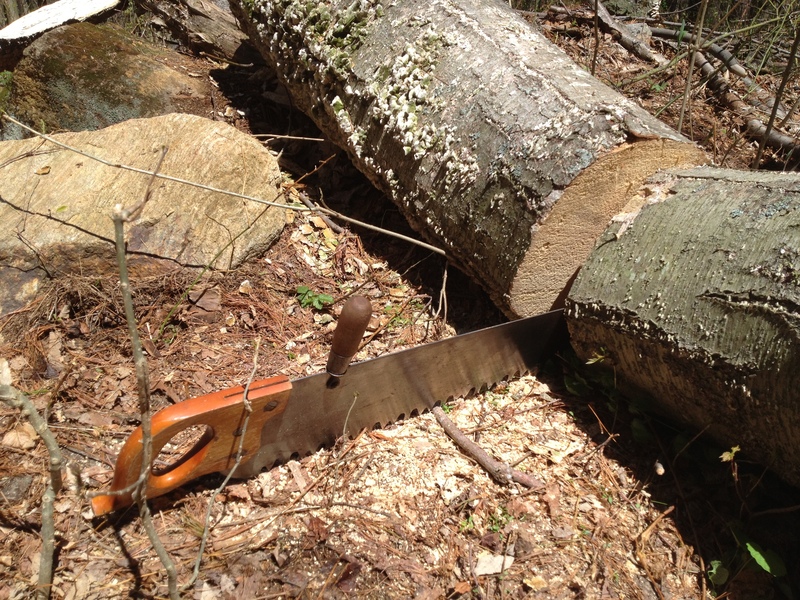 Here’s Song – an ’05 through-hiker and special ed teacher – playing a chainsaw rhapsody. It was a complicated job due to the position, size and slope on which the tree crashed. Still, it was no match for Song Sawyer. All-in-all, we cleared nine tree trunks on the trail.